Move over, statement earrings. 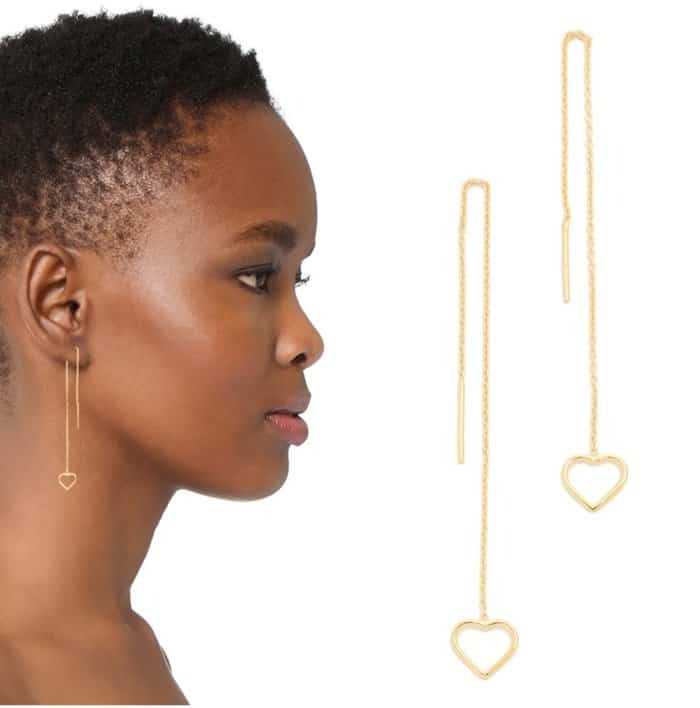 We’re over the bulky ear accessories and onto our new favorite trend: delicate shoulder duster earrings. This resurfaced trend is just as hot and fashionable, and while it isn’t anything new, it’s definitely this red carpet season’s premium choice. 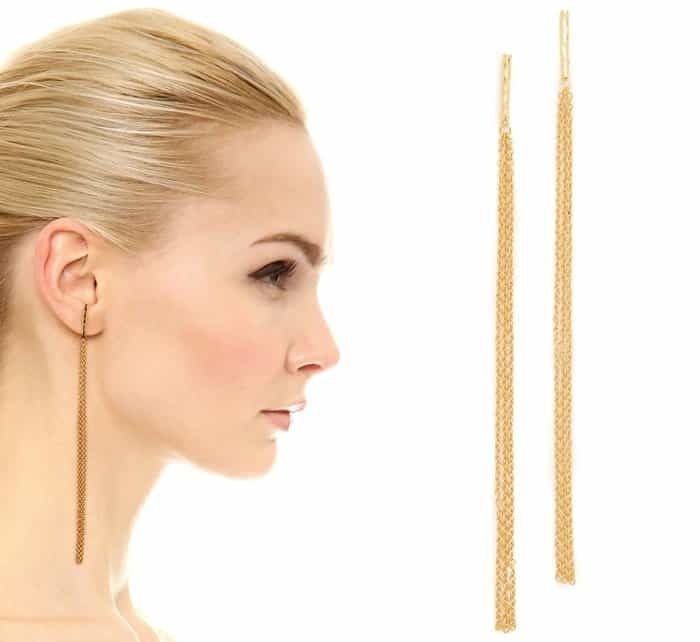 These long earrings softly graze the neck or shoulder of the wearer. Instead of chunky pieces with bold details, delicate chains with simple silhouettes have been taking over the spotlight. 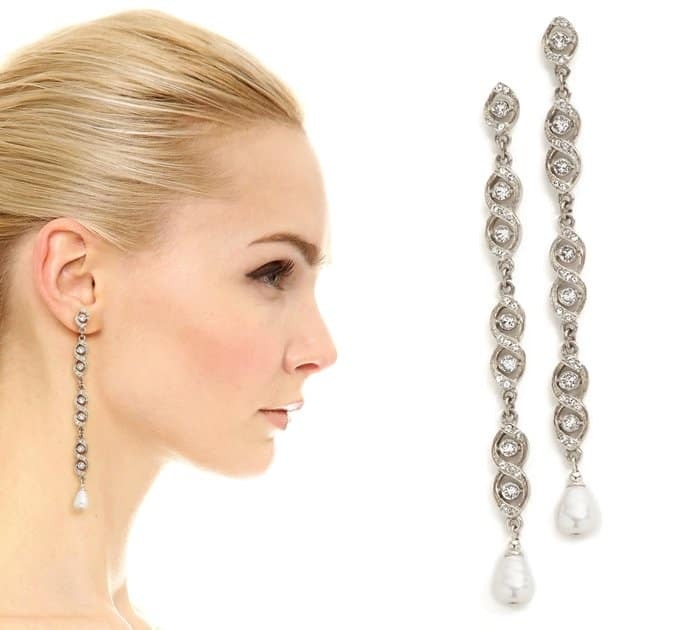 The elongated design of these earrings frames the face and neck beautifully. Shoulder dusters can be too overwhelming if they are too hefty, but delicate renditions are just perfect to add an ounce of sexiness to your outfit. Choose from our picks below.